If I want to custom one field, how can I find the CSS selector? 1) You may use our Advanced Designer to locate the CSS selectors. 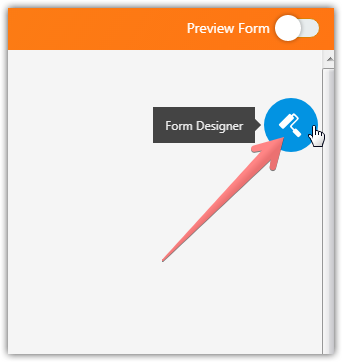 - Click on the Form Designer icon. - Then click on the Advanced Designer button. - See the next video to get an idea about the CSS inspector. 2) It is also possible to check the element ID/class using browser DevTools (e.g. Chrome DevTools). 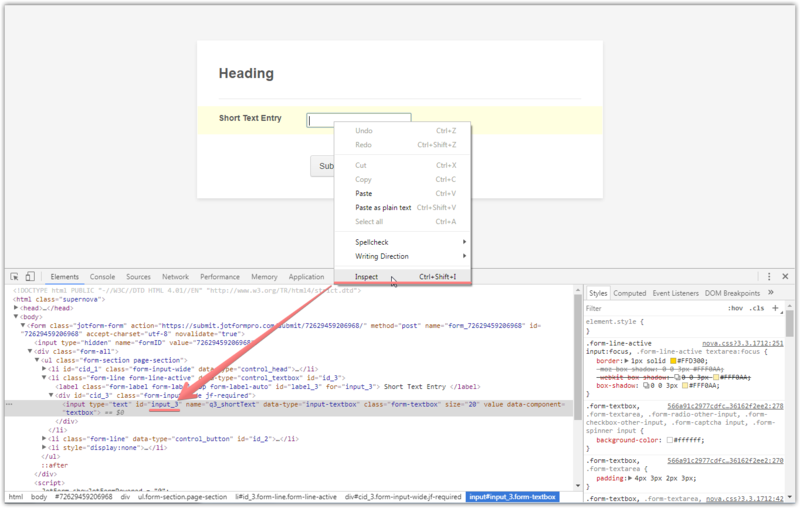 Right mouse click on the element and select the 'Inspect' from the context menu. For example, if the element ID is input_3 the CSS selector is #input_3.